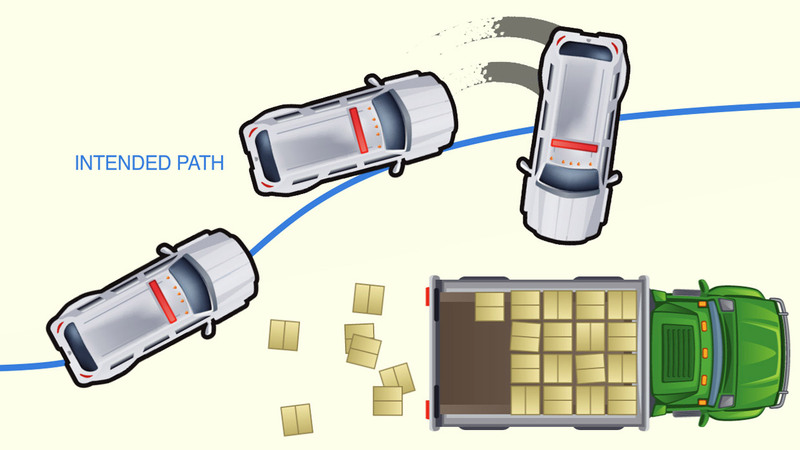 Electronic stability control (ESC) helps prevent rollovers by stabilizing your car when it begins to veer off your intended path. 1. ESC engages automatically to help prevent oversteering and understeering. 2. ESC works by braking individual wheels and reducing engine speed – helping you maintain control. 3. Always remember to slow down before taking turns, and increase following distance on slippery roads.